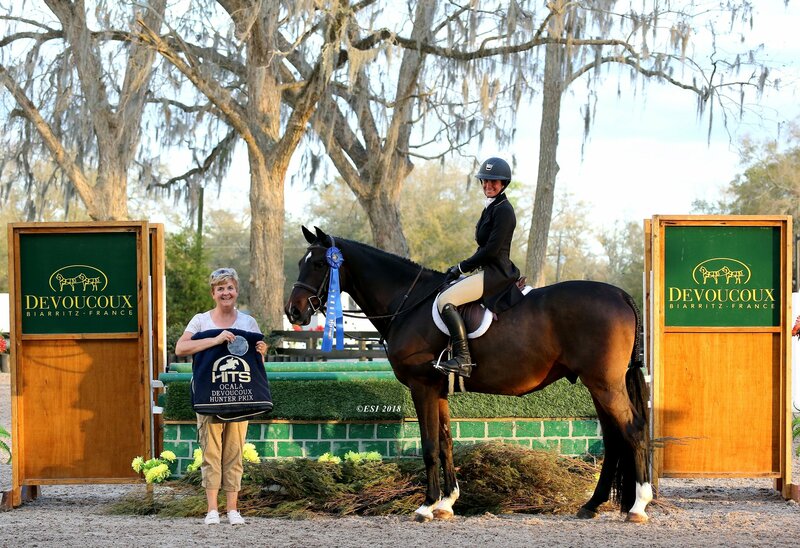 The Ocala Masters CSI3* (Week VI) was filled with more blue ribbons, sunshine, and smiles at HITS Post Time Farm. 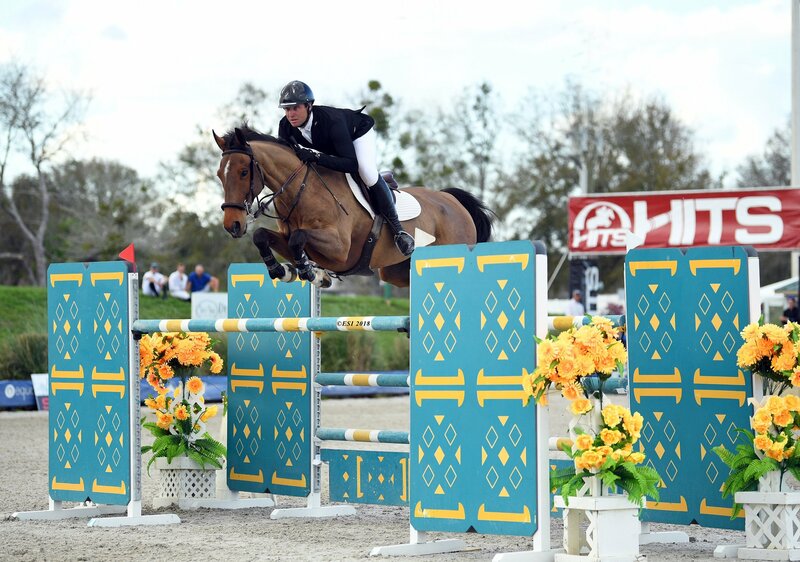 From hunters to the jumpers, to the $100,000 KindredBio Grand Prix CSI3*, many riders found success and claimed titles as the second half of the HITS Ocala Winter Circuit got underway. Kicking off the week in the Ocala Horse Properties Stadium, Rachel Schnurr took first place in the $5,000 Johnson Horse Transportation Welcome aboard PRINCE GARBO with a jump-off time of 35.404. Less than a second behind her, taking second place was Harold Chopping aboard FANTOM with a jump-off time of 36.217. Third place was received by local rider Hayley Waters aboard QURINT with a jump-off time of 36.964. Christine McCrea was fourth place with JARCOBOND VAN DEN OUDE EIK and a jump-off time of 38.936. Fifth place went to Cassandra Kahle and PYRENES DE LOUZES with a jump-off time of 40.178. Devin Ryan and COOPER, jump to a first place finish in the $40,200 Ocala Classic. On Thursday the $35,000 SmartPak Welcome CSI3* took place, with top FEI riders representing several countries. Emanuel Andrade again made his talent known by taking home the first place award aboard U with a jump-off time of 36.50. In second place was Ocala favorite, Aaron Vale and MAJOR with a jump-off time of 36.97. Third place was earned by McCrea and WIN FOR LIFE with a jump-off time of 37.00. In fourth place was Michael Hutchinson aboard CATANGO with a jump-off time of 37.98. Rounding out the top five was three time $1 Million Grand Prix winner Andre Thieme aboard CUPERTINO with a jump-off time of 38.15. Friday started with David Jennings and TYSON UNO winning the $10,000 Open Prix with a jump-off time of 28.270. Second place was awarded to Hutchinson and RONALDO DE LA POMME with a jump-off time of 29.549. Lisa Goldman came in third place aboard HINDSIGHT with a jump-off time of 29.565. Close behind was Schnurr in fourth place aboard PRINCE GARBO with a jump-off time of 29.900. Matthias Hollberg came in fifth place with a jump-off time of 30.257 aboard VANITA. Friday afternoon, Devin Ryan found success aboard his well-known mount COOPER, winning the $40,200 Ocala Classic CSI3* with a jump-off time of 36.43. Scott Keach secured the second and fourth place spots with FEDOR and CHICCO W with jump-off times of 38.91 and 39.38, respectively. In third place was Derek Petersen and DIAMANT'S LEGACY with a jump-off time of 39.31. 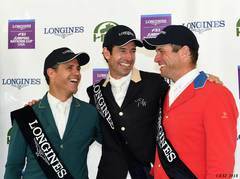 Canadian rider Francois Lamontagne, who was a part of the Gold Medal team last week in the Longines FEI Jumping Nations Cup™ USA, took fifth place aboard CHANEL DU CALVAIRE with a jump-off time of 39.62. 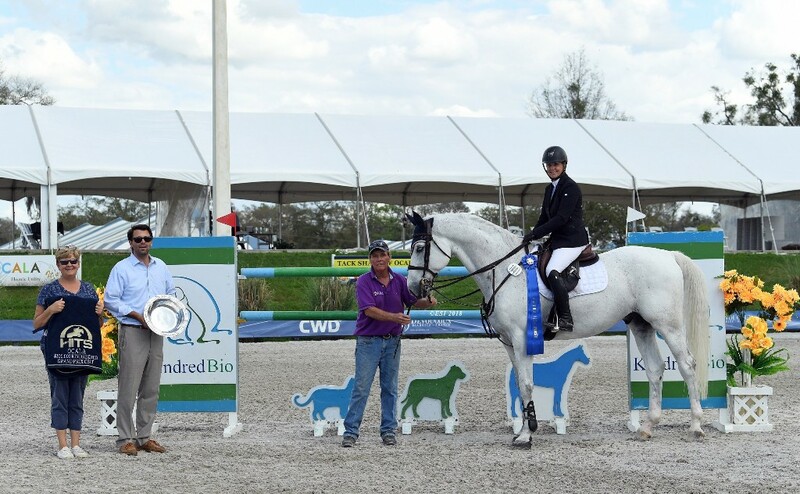 Tracy Fenney and MTM REVE DU PARADIS after winning the $100,000 KindredBio Grand Prix. On Saturday Lamontagne took first place in the $10,000 1.35 Classic aboard VIGO MASSUERE with a jump-off time of 28.907, followed by Dorothy Douglas in second place with MTM ICARLY and a jump-off time of 30.364. Taylor Land came in third place aboard NEPAL with a jump-off time of 30.474. Fourth place was awarded to Vale and ACOLINA R witha jump-off time of 30.506. Chopping was the fifth place recipient with ELODIE and a jump-off time of 31.280. Sunday afternoon, a crowd gathered in the Ocala Horse Properties Stadium once again, to watch Grand Prix riders compete for the win in the $100,000 KindredBio Grand Prix CSI3*. It was a difficult first round as many riders maneuvered through the course with several jumping and time faults. Only four riders had clear first rounds, under the time allowed, making for an exciting jump-off round. Tracy Fenney ended up on top, taking first place aboard MTM REVE DU PARADIS with a fault-free jump-off time of 45.61. Thieme and CUPERTINO came in second place with a fault-free time of 45.68. In third place was Taylor Land aboard LIROY 30 with a four-fault jump-off time of 46.32. Keach and FEDOR rounded out the jump-off round in fourth with an eight-fault jump-off time of 45.81. Fifth place was awarded to Tim Van Den Oetelaar and ERETTO with one time fault and a round-one time of 89.47. Dominique Damico and NEMESIS 11, winners of the $5,000 Devoucoux Hunter Prix. In the Hunter rings, two Hunter Prix again took place on Saturday. In the $1,500 Platinum Performance Hunter Prix, junior rider Kylee Ricker came in first place aboard OUTLOOK with a two-round total of 170. In second place was Kimberly Beattie and CAROLINO with a two-round total of 163. Only one point behind her, in third place was Lila Oullette aboard KING OF HEARTS with a two-round total of 162. Fourth place was awarded to Taylor Masters and SUMMER SONG with a two-round total of 161. Suzanne Duncan was in fifth place with BELLEVUE with a two-round total of 160. The $5,000 Devoucoux Hunter Prix also took place on Saturday. Dominique Damico accumulated a two-round total of 179 aboard NEMESIS 11, earning the first place spot. Second place was awarded to Cassandra Kahle and FREELANCER with a two-round total of 174.75. In third place was Abigail Lefkowitz aboard CONTINENTAL with a two-round total of 173.25. Amanda Steege came in fourth place aboard TENACIOUS with a two-round total of 172.5. Rounding out the top five was Samantha Schaefer and IN THE KNOW with a two-round total of 172. For more results visit hitsshows.com. We hope to see you Week VII of the HITS Ocala Winter Circuit! The Great American $1 Million Grand Prix will be back at HITS Post Time Farm on Sunday, March 25!